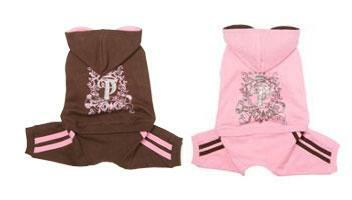 Made from soft cotton the suit has a brown lined hood and tapes on the legs. On the back is a large Puppy Angel logo outlined but elaborate detailing - essential for this season. This tracksuit zips up the chest for added pizzazz.